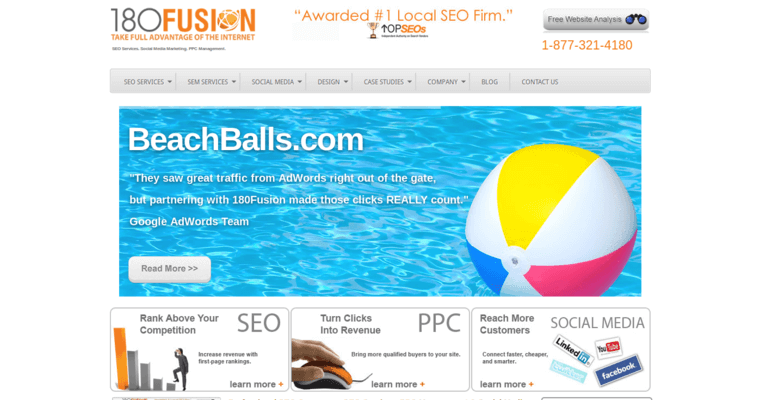 180fusion is a premier reputation management agency and one of the top firms in industry. The skilled group of experts at the firm believe use cookie-cutter SEO services. They understand that each client is unique, and their goal is to establish a strong bond with their clients to help them achieve and maintain results. The team works with clients to understand their business objectives and only use strategies with superior ROI potential. 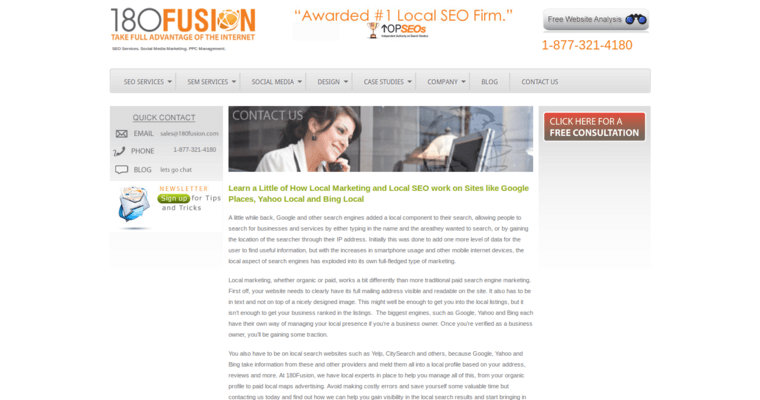 Aside from SEO, the firm also offers PPC and social media marketing services. The firm has been recognized as one of the Top 500 Fastest Growing Private Companies in the United States by Inc. Magazine in 2014 and 2015. In addition, the LA Business Journal also ranked the firm as one of the 100 Fastest Growing Companies and Top 100 Best Places to Work for two consecutive years. There are numerous firms that offer SEO services, but the team of experts at 180fusion have the skills and ability to help each one of their clients succeed.